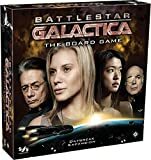 Battlestar Galactica is a semi-cooperative game of suspicion, betrayal and struggle for survival against the Cylons who have destroyed the home planet. Players can choose between 10 characters classed as political leaders, military leaders, pilots or support and each character has their own benefits and weaknesses but they must all work together in order to save humanity. 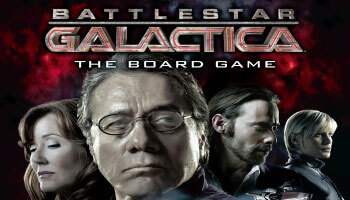 However, some players play secretly side with the Cylons. A loyalty card at the start of the game will determine this and the other players must to expose the traitors. Each turn, players draw skill cards, move their character anywhere on the ship, perform actions and finally draw and resolve a Crisis Card. These rises are usually resolved by a particular player choosing between two bad outcomes, but most commonly there are "skill checks" required. And this is where the Cylon infiltration comes into play. Each player passes skill cards secretly into the challenge and some will help and some will hurt. 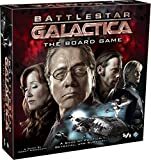 The players must survive crisis after crisis, fight off enemies, repair damage, defend civilian ships, and prepare the Galactica for "jump". The goal for the human players is to jump the fleet enough to reach 8 distance and then executing one final jump to the plant of Kobol, else the Cylons win. 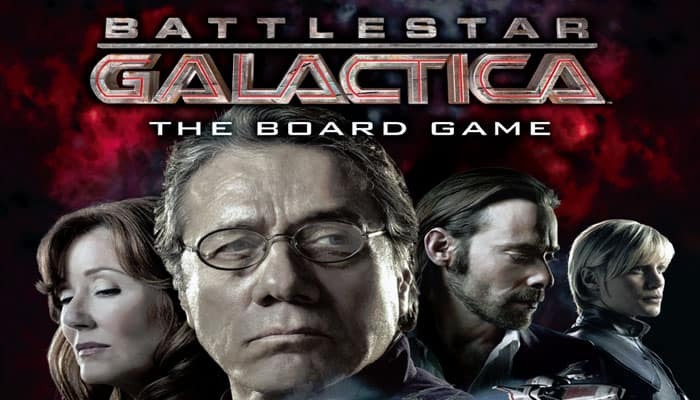 Follow these steps to prepare to play Battlestar Galactica: The Board Game. Place Game Board: Place the game board at the center of the table. Set the food and fuel dials to "8", the morale dial to "10", and the population dial to "12". 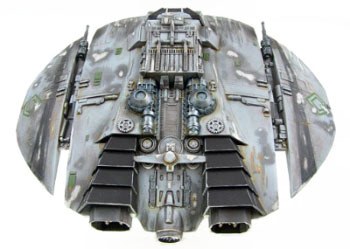 As long as there is at least one Cylon ship on the game board, the fleet is considered to be in combat. Cylon ships are activated at the end of each turn, based upon the Crisis Card drawn. This section describes the details of combat, including how to activate, attack, and pilot ships. The ultimate goal for the human players is to conserve enough resources to travel eight units of distance and then jump to Kobol. This makes their immediate goal to preserve resources, and their long-term goal to travel enough distance. Two things need to be taken into account during a human player's turn: first, which resources are in the most danger, and second, which actions are available to the player.